Each year, the UK plays host to 1.3m business events, in an industry that’s worth £42.3bn to the UK economy. However, for the purpose of this piece, we’re discussing smaller, client events - which can deliver an impressive boost to your business. If done badly, though, they can also be expensive, waste a lot of resource, and damage your reputation with your audience. The success of an event begins at the planning stage, and our ‘upside down’ approach to event management and event marketing can ensure that yours is talked about for all the right reasons. What is an upside down approach to event marketing and management? Most events are organised with a sales goal at their core: the launch of a new product, the opportunity to encourage more prospects to use your services, the desire to upsell to existing customers. From there, the venue is booked, the speakers are chosen, a significant budget is spent...and the event crashes and burns, as even the very best event marketing efforts can’t persuade enough people to attend. The issue here is that businesses have a tendency to organise events around their own needs and objectives, without pausing to think about what their target audience actually wants. 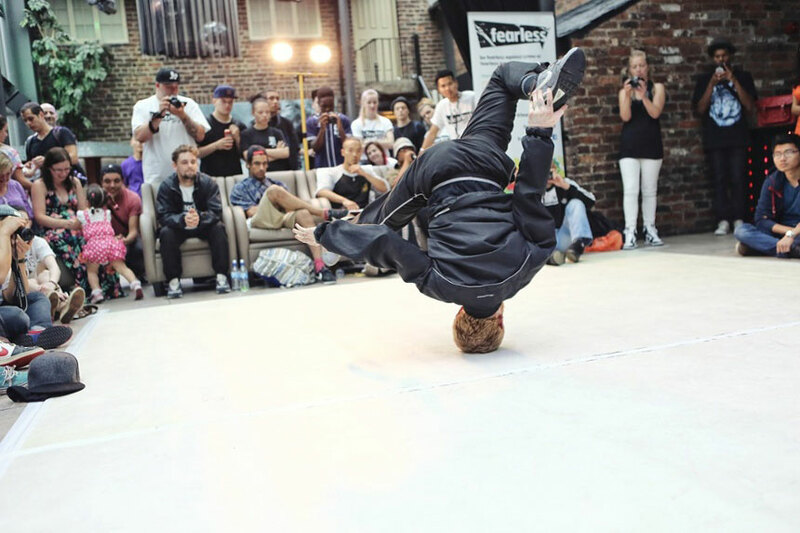 An upside down approach turns business events on their head, beginning with the audience. And it follows this seven-step process. Find out what they would get the most value from. What format would they prefer? Which topic(s) would they like covered? Do they care about networking opportunities, a formal meal, an exhibition space? In consulting with them, you’ll not only get a blueprint for what their perfect event would look like, but you’ll demonstrate to them that you really care. Putting on an event can involve a lot of work. While having your name on the event as the sole organiser may look impressive, consider bringing reliable, trusted partners on board. It’s a great way to share the burden of the logistics of event management and event marketing, and a roster of great industry names will look good to your target audience, too. As much as you may want to book the Albert Hall to impress your attendees, hiring a venue of such scale for an audience of just 100 will not only have budgetary implications, it’ll affect the buzz of the event itself too. Before choosing a venue, ensure you have an idea of the size, facilities, budget and location you need. Sit down and conduct some numbers work to determine how you can generate the audience you need to meet your ROI goals, and be realistic: choose a venue based on attendee demand, rather than on perceived prestige. Your goal may be to reach out to a new audience - but it's important to remember the value that your existing customer base can bring. Make sure there's something to hook their interest too - and offer them free or discounted tickets if necessary. You may well find that they're one of your biggest sales tools on the day, talking to your prospects about their own experience with your products or services and giving the unbiased opinion that it's impossible for your sales team to provide. We spoke in the last point of offering free or discounted tickets...but should you be charging at all? 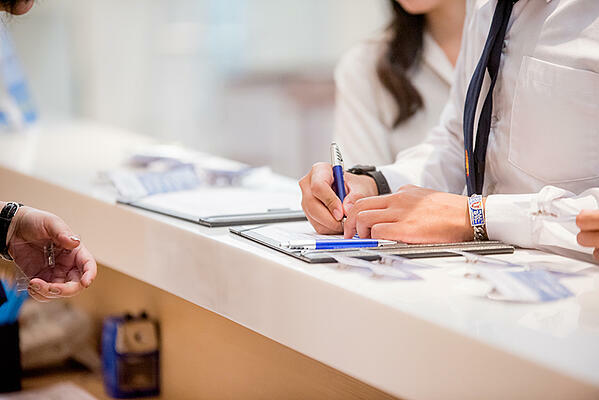 Asking attendees to pay for tickets is a common strategy to recoup some of the expenses of an event, but decisions around ticket pricing should be discussed strategically, rather than deciding on an arbitrary fee as an afterthought. People are busy. To take a day - or more - out of the workplace to attend an event (not to mention spending money on tickets, transport and potentially accommodation), your prospects need to be sure that they will leave your event with something of tangible, actionable value. 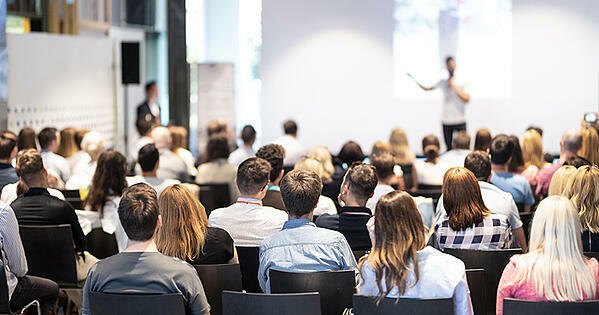 Whether it’s exclusive research, talks from speakers they won’t see elsewhere, workshops or something else (which you’ll define when speaking to your prospects at the very start of the planning process), your event needs to provide genuine insight and/or education that will make their attendance worthwhile. An event that gives attendees nothing will leave a sour taste in the mouth, and an incredibly low likelihood of attending future events that your company hosts. Your audience doesn’t want to be sold to either, so vet your speakers carefully, choosing those that will tell a genuinely interestingly story or offer real insight, rather than simply pitching their services. Often, the objective for brands is simply to run a successful event - but that’s only the start. The hard work doesn’t end once the day of the event draws to a close. When the doors have closed and the speakers have gone home, your follow-up activity begins. Or does it? In reality, the best approach is to have your post-event activity planned in advance, giving you a detailed plan of action in case you lose momentum. Reach out to leads who still have the event fresh in their minds, and conduct post-event research with speakers, attendees, sponsors and your own team to give yourselves a firm handle on what worked well and what didn’t - saving you a great deal of time and effort when the next event rolls around. Any event you organise has to meet your own business objectives - and it’s vital that these objectives are clearly defined upfront. Without a solid definition of success, measuring ROI will be impossible. While events have a reputation as money pits, the upside down approach can help you to ensure yours is a success by clearly demonstrating return on investment. Whether financial or relating to engagement, lead numbers, NPS, awareness or any other metric, considering this approach for your next event will mean you’ll not only be able to achieve your own goals, but offer true value to your prospects too. Lead generation is integral to any business event. Find out the best ways to generate and nurture your leads with The Marketing Centre’s free guide. How can you measure the results of your brand marketing activity? Do you need highly skilled in-house marketing expertise but simply can’t justify it full time or haven’t found the right person?